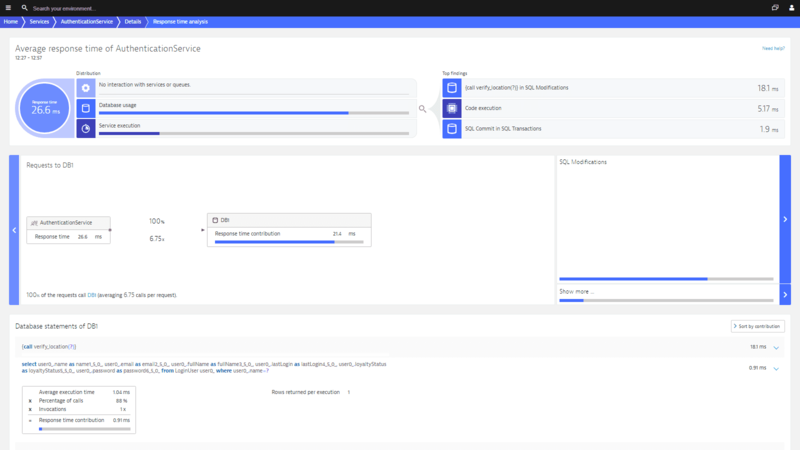 Monitor and optimize Java application performance for your entire application stack, including databases and services. 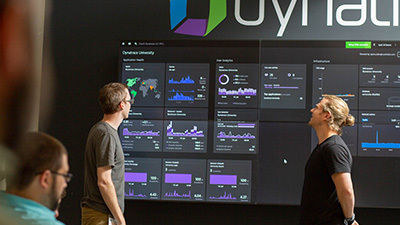 Dynatrace captures every transaction, across every tier, without gaps or blind spots. 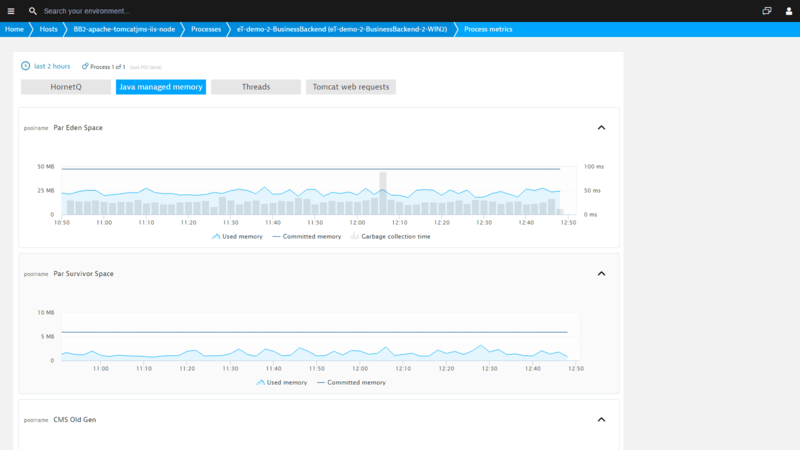 Pre-configured dashboards provide all relevant metrics down to SQL statement and code level. 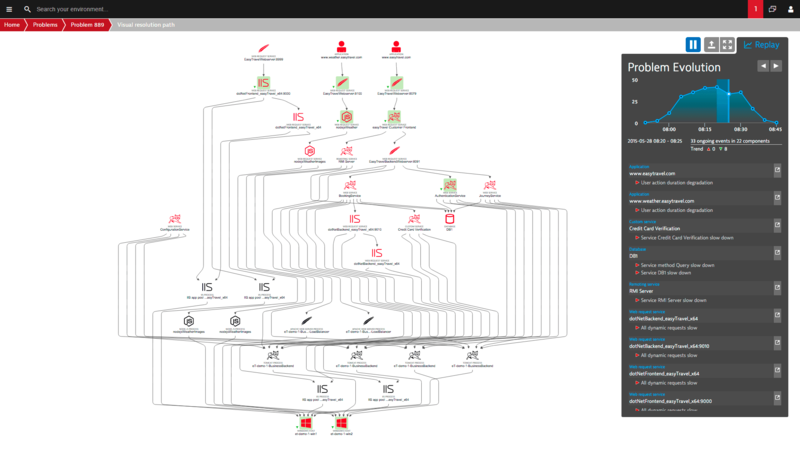 In under five minutes our agent automatically discovers your entire Java application stack. 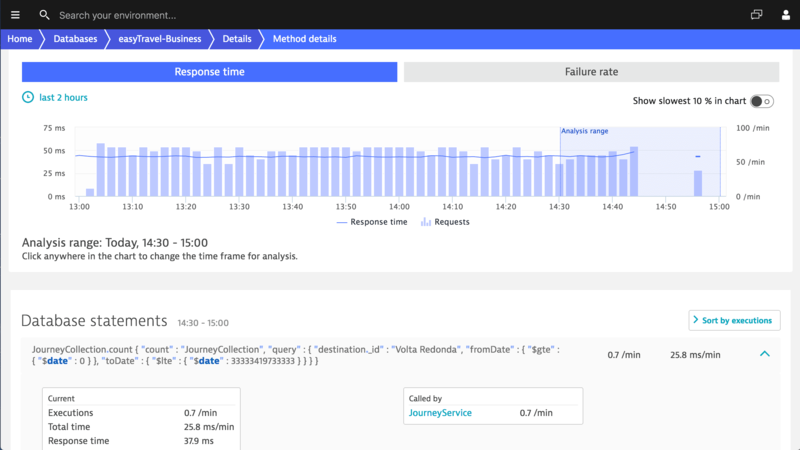 Improve the performance of your Java code with continuous insights into your applications. 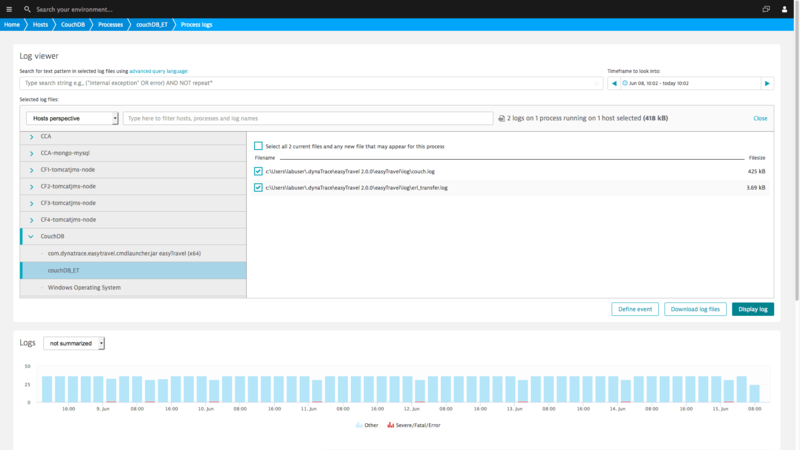 Sign up for Dynatrace Java monitoring today! 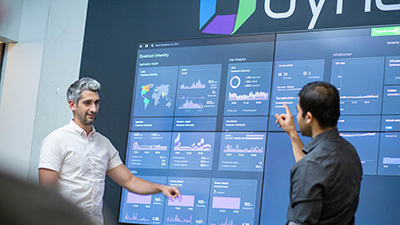 Dynatrace uses patented PurePath Technology® to capture timing and code-level context for every transaction, across every tier, without gaps or blind spots. 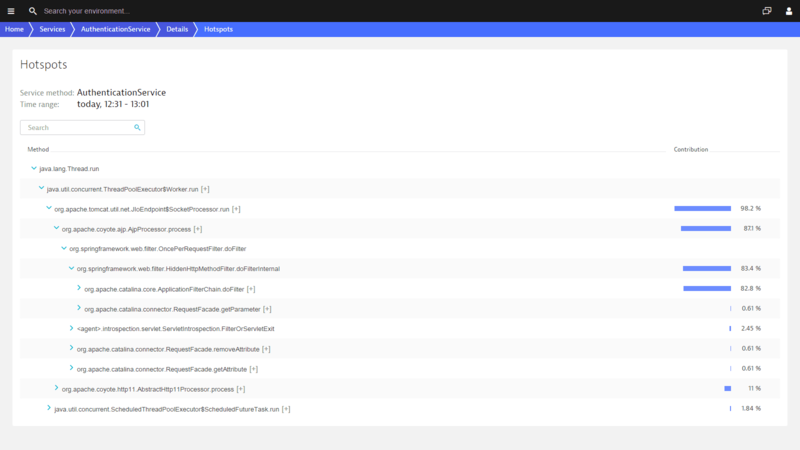 The Dynatrace UI isn’t bloated with metrics. 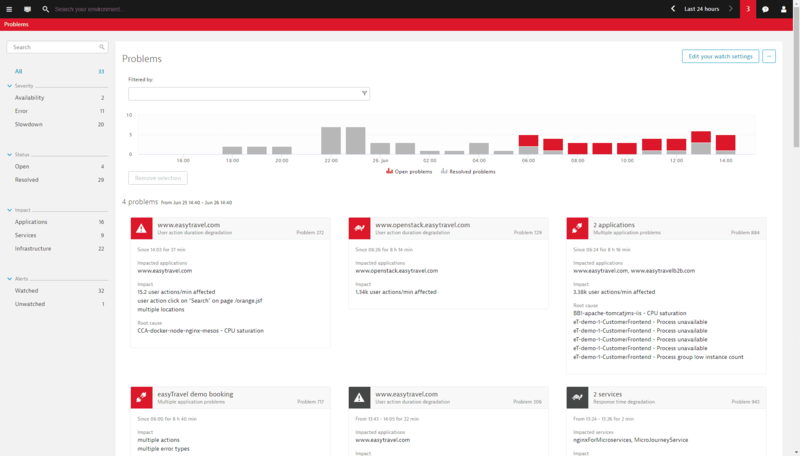 We show you what really matters and allow you to drill down into more detailed metrics when you need them. 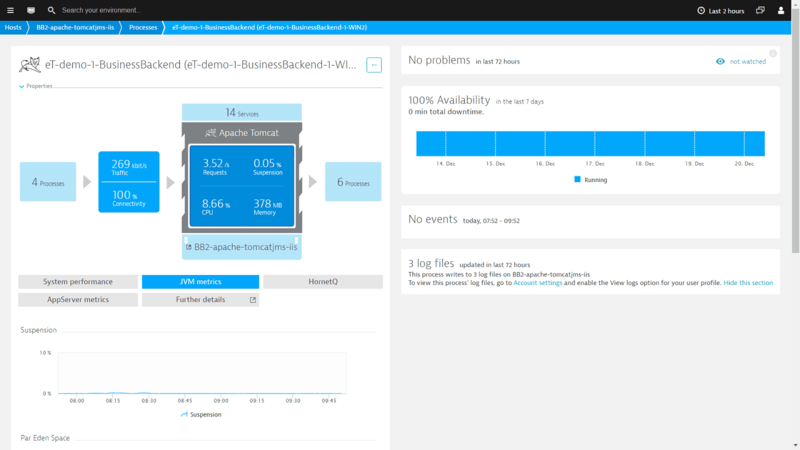 Dynatrace instruments your Java applications at the bytecode level. It makes no difference if your applications are console applications or web services; we provide all the monitoring features you need. 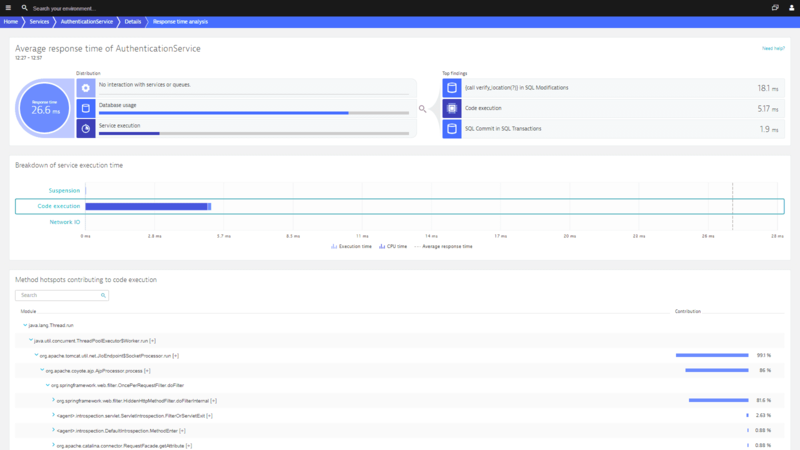 Dynatrace provides Java monitoring for applications running in Tomcat containers as well as JBoss, WildFly, GlassFish, WebSphere, and other servers. Of course we also support other JVM languages like Scala, including frameworks such as Akka and Play. Java Applications tend to be scattered, and it is not always easy to diagnose performance issues. 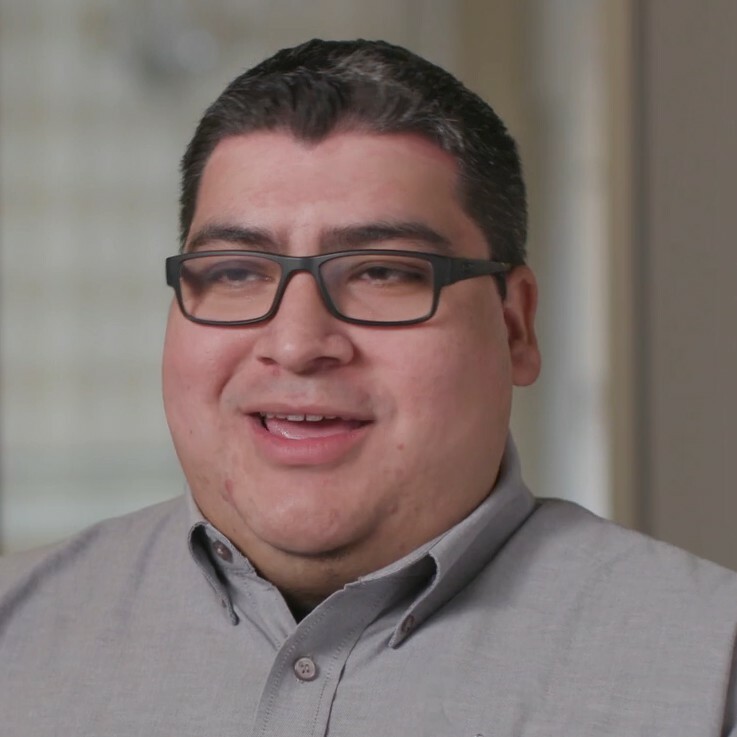 In this session, Wayne Segar, Dynatrace Solution Consultant, examines some of the toughest problems solved in the last few years. 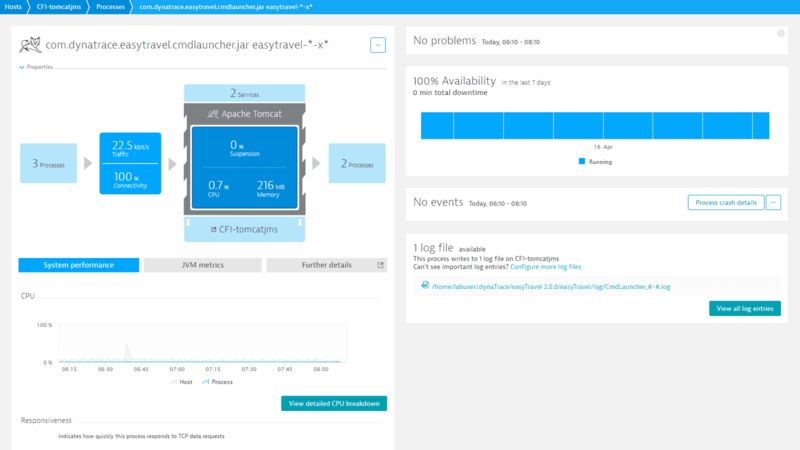 We learn from him how to expand your performance bottleneck search arsenal using the power of Dynatrace. 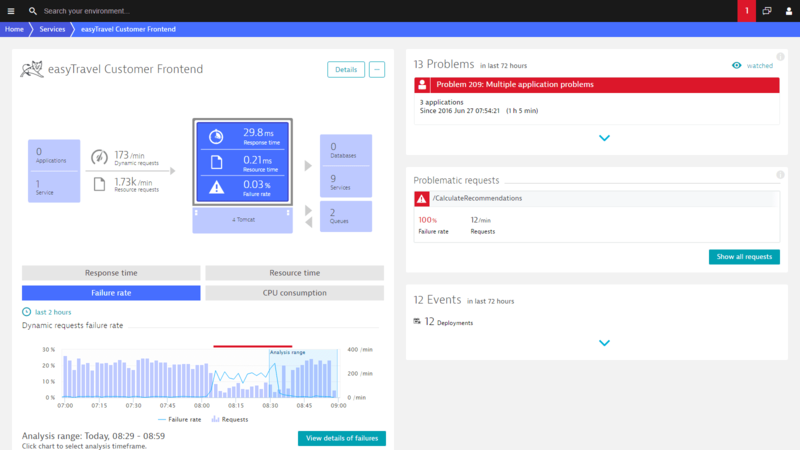 Senior leaders from the Dynatrace Labs and Center of Excellence teams have collaborated to develop the only definitive reference on practical, day-to-day application performance management. This exclusive online eBook is the most comprehensive Java performance resource available anywhere. Learn to configure your Java VM correctly in this blog post. 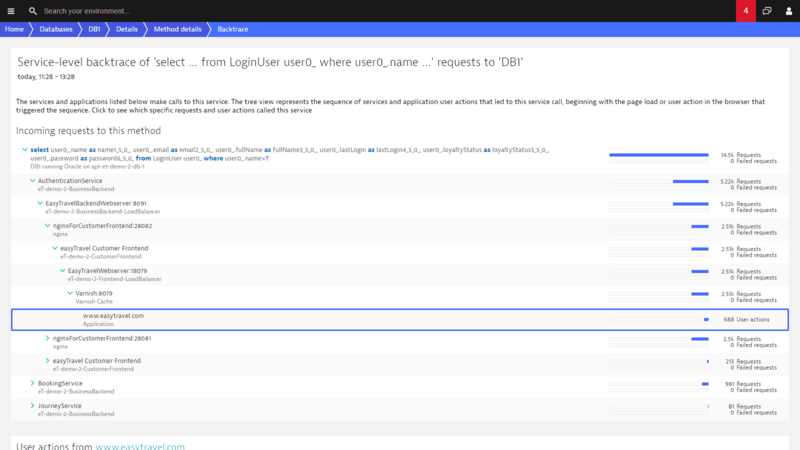 Dynatrace tracks and inspects all SQL statements and NoSQL queries sent by your application. 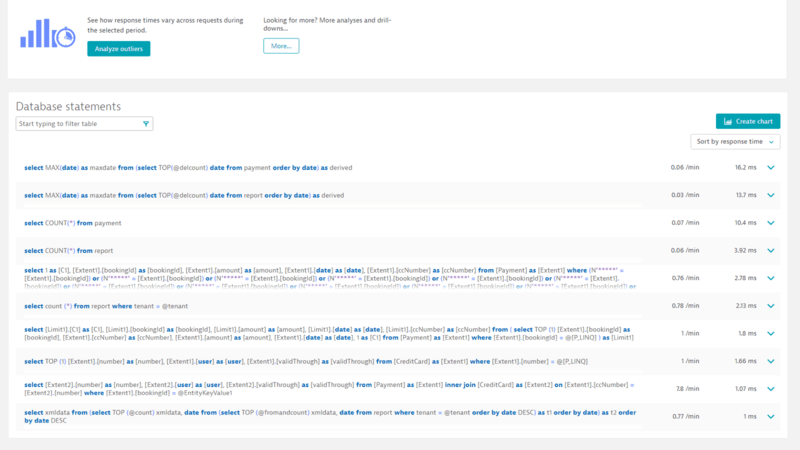 There is no better way to solve a database problem than to have the SQL statements in question directly on screen. 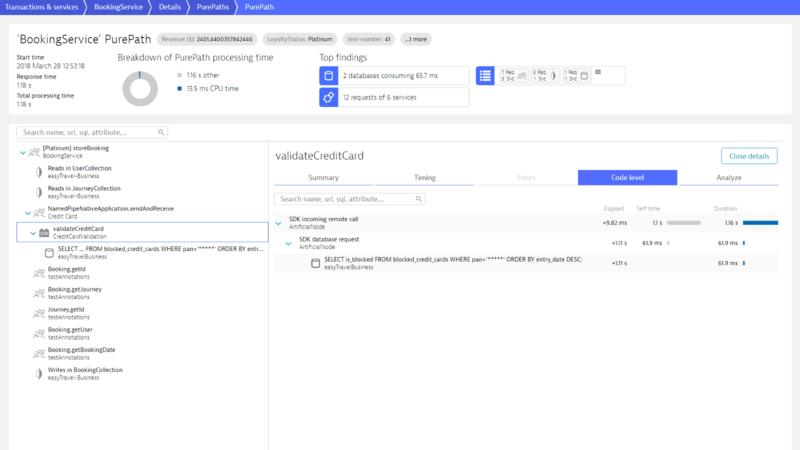 See execution frequencies, response times, and long-­running queries to JDBC-­backed databases like MySQL, SQL Server, PostgreSQL and Oracle, as well as NoSQL databases like Cassandra and MongoDB. 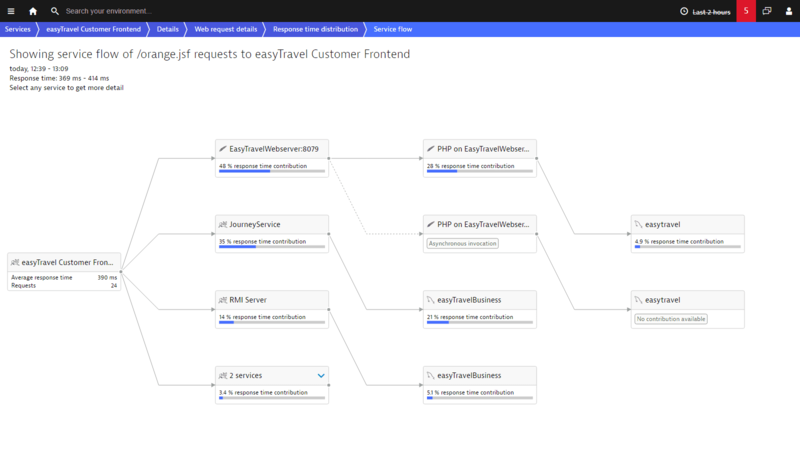 Dynatrace tells you the root cause of Java problems! 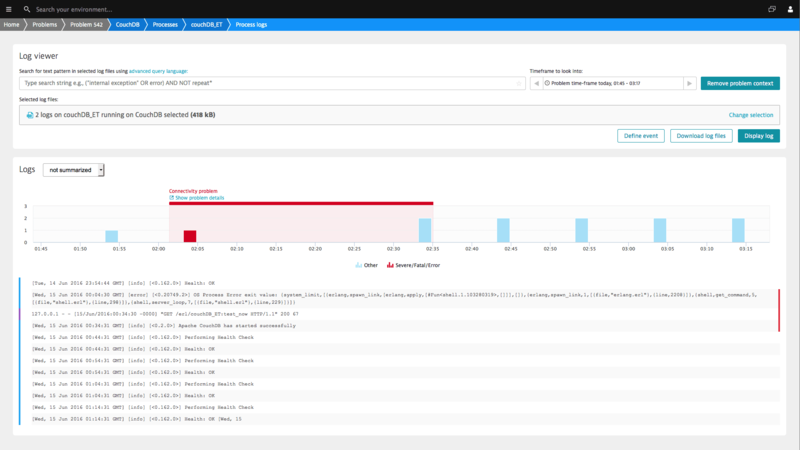 Detect availability and performance problems across your stack proactively. 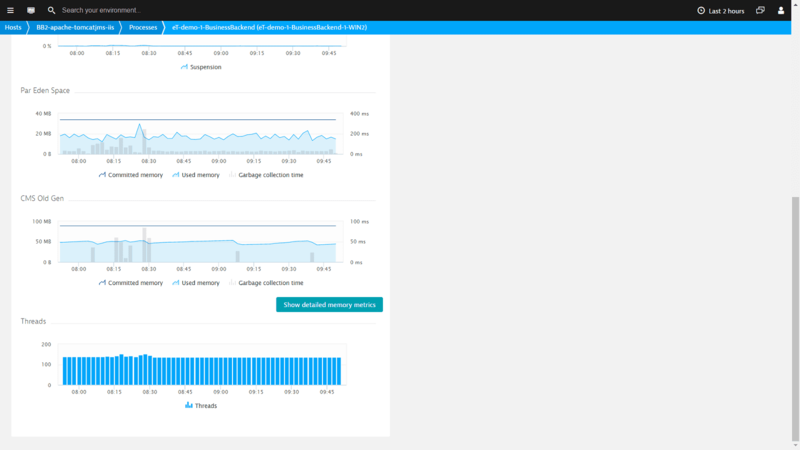 Start Java performance monitoring in under 5 minutes! 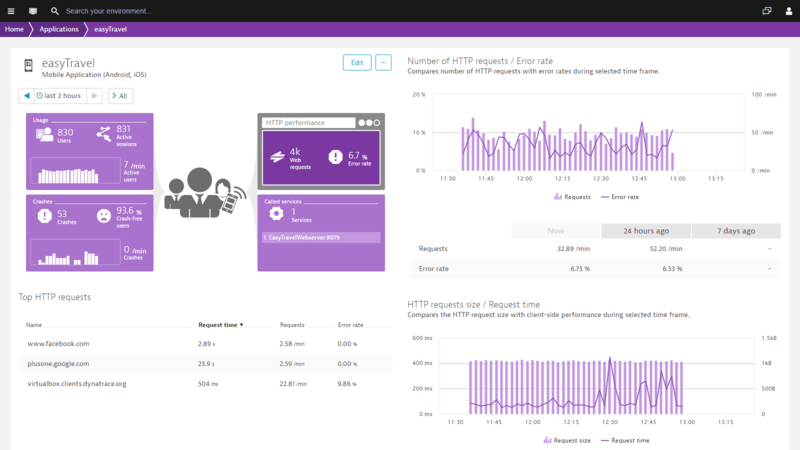 Dynatrace enables you to dig into your applications and find hotspots at the code level. 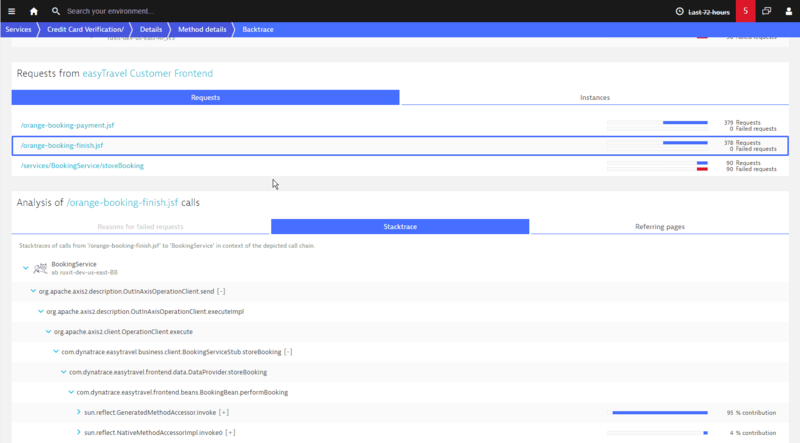 Locate problematic methods with CPU or network bottlenecks within the execution call stack. 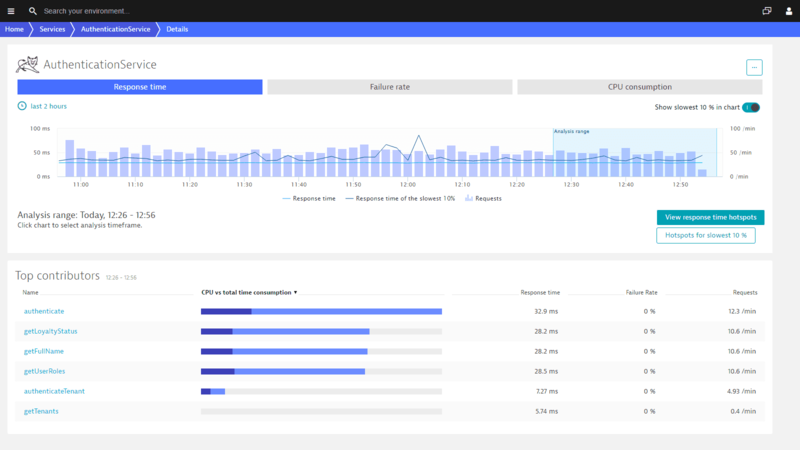 Your ability to find and resolve performance issues will improve significantly with Dynatrace Java monitoring. 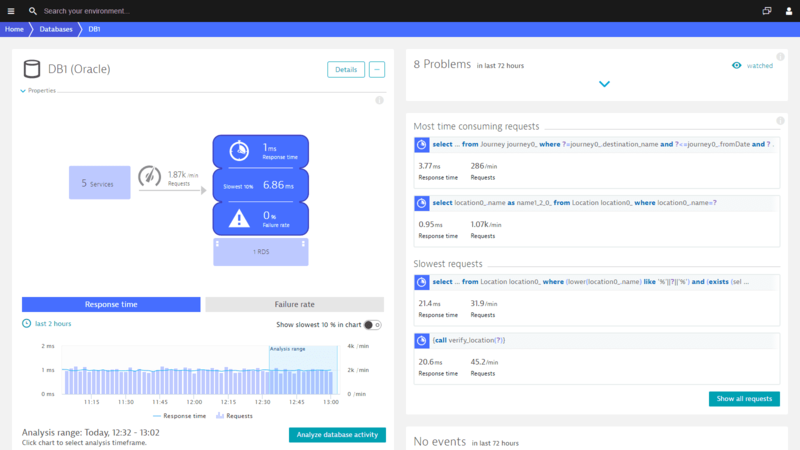 Our unique solution was designed for cloud environments where instances are rapidly created and deployed, making it a perfect fit for monitoring microservices environments. 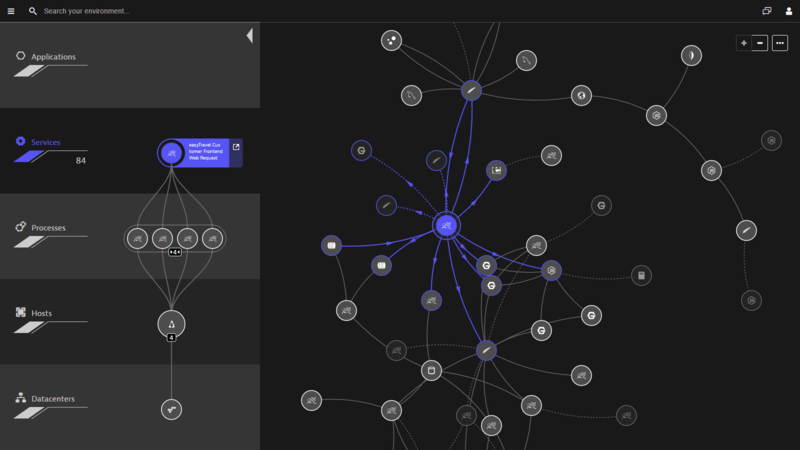 Relevant log messages or networking anomalies are factored into the root-cause analysis of problems. 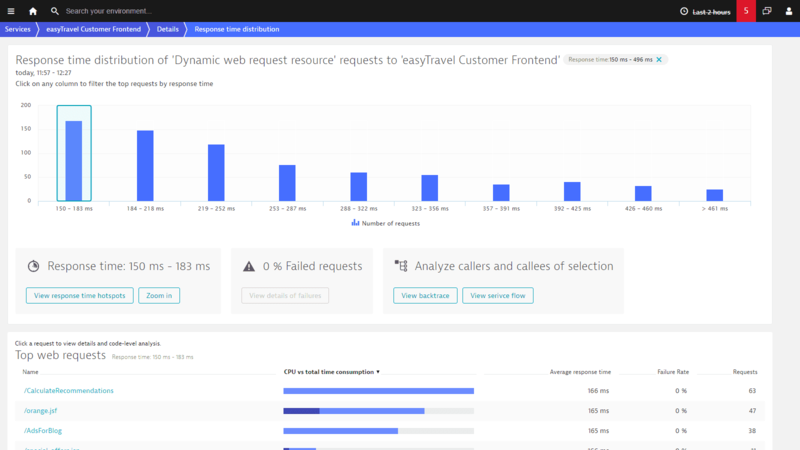 Dynatrace integrates seamlessly with popular CI/CD systems, making performance-driven development and delivery a continuous process. 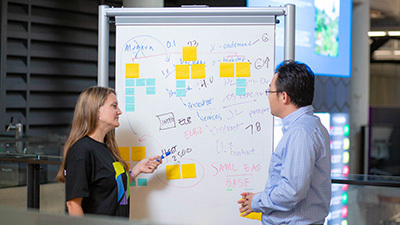 We integrate with your DevOps toolchain to automate issue detection during QA and test. 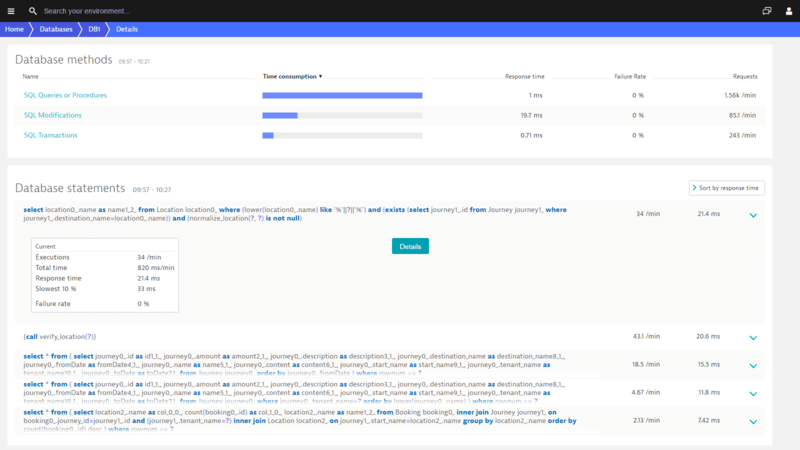 Detect regressions automatically, comparing production and dev builds at the code-level. 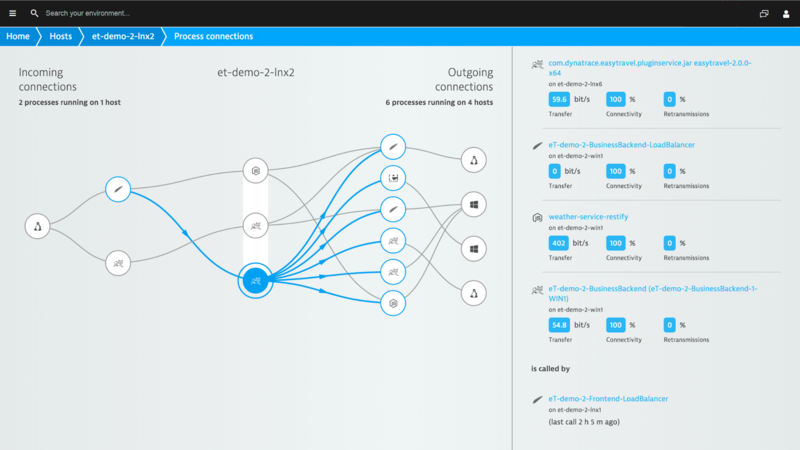 A single dashboard displays the current build status from both the functional and performance perspectives. 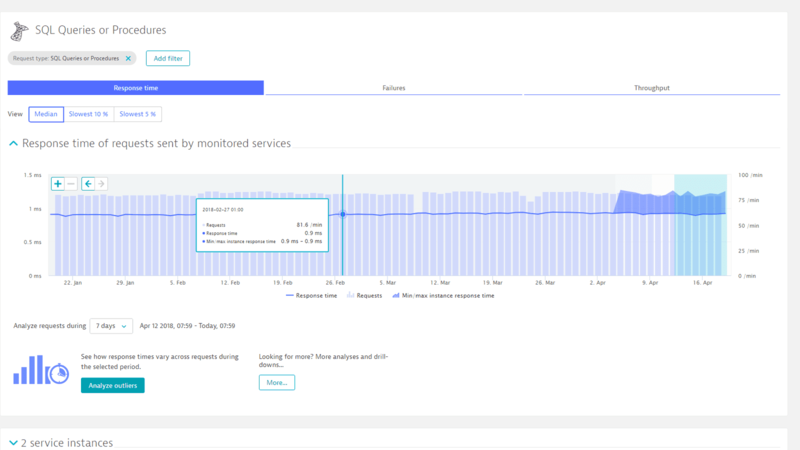 Sign up now for 15 days of free Java monitoring!